In a way, petrol is a very appropriate shark fuel. It is running on things that have been dead for millions of years. It just seems suitably over the top when you think of it that way. 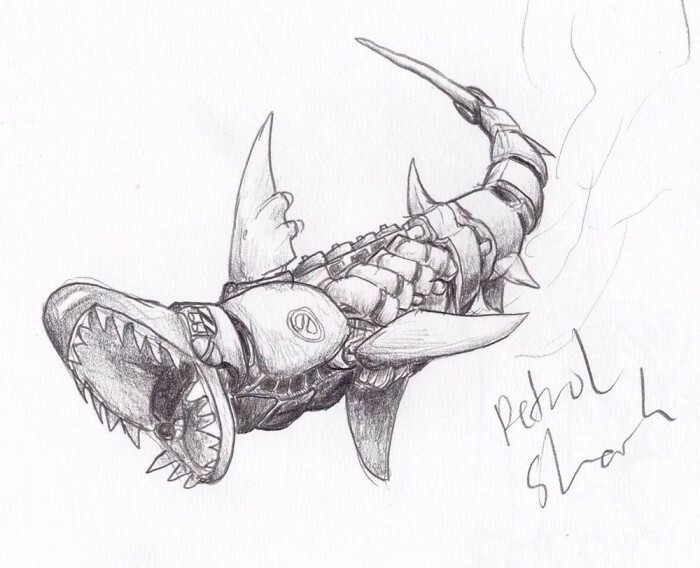 This entry was posted in Scanned Desksketch and tagged petrol, shark by Anthony. Bookmark the permalink.